Our staff at HFHCC is committed to serving the Board of Directors and help run the day to day operations of Catoosa Habitat. Penny Mahon is the Executive Director for HFHCC. She is a graduate of University of Tennessee-Chattanooga with a B.S. in Psychology. Before becoming a full time mother she was a social worker at Bethel Bible Village. Penny has traveled to several continents including Africa and South America to do mission work. 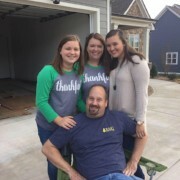 Penny and her husband Ken have been married for 21 years and they have two beautiful daughters; Abigail who is 18 years old and Rachel who is 14 years old. 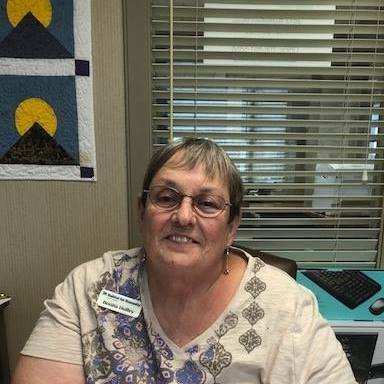 Bonita is on staff with HFHCC serving as office administrator. Bonita graduated from Lakeview High School. She has on daughter, two grandchildren, and three great grandchildren. Bonita is a member of the LDS church in Chattanooga Valley. She serves there as a visiting teacher supervisor and community outreach organizer. Her hobbies include bowling, fishing, reading , and visiting friends in Florida.